Blog Hop Winners & News! Hello! I hope you’ve all recovered from a busy blog hop weekend! It was a blast! In fact, it was so much fun that I’ve decided to coordinate another blog hop. This one will be 12/31 – 1/3 and the theme will be Thank You cards (since I’m sure we’ll all have some thank you’s to write). I’m already taking names for this blog hop so if you’re interested, you can comment on this post, or see the facebook page post, or email me with your blog address & email address. I am sure this one will be even bigger & better than the Christmas Card Blog Hop (which is hard to believe since that was pretty great!). Love the snowman card and can’t wait to see your dads card. TFS and doing the BH. Nothing better on a holiday weekend than a fabulous and inspiring hop! LOVE your card creation, and so clever how it unfolds! Thanks so much for sharing with us! I love your card, especially getting the idea from your flannel sheets what a clever girl you are. Great giveaways and tips, can’t wait to see your dad’s card. How clever to let your sheets inspire you! Love the card. Congratulations to all the winners. Please send me an email to Craftycardgallery@gmail.com to claim your prize with your name & address so I can send it (if you won the app, you don’t have to send me your address)…. In app news, I submitted the updated app tonight. It will take Apple 5-10 days to approve it & put it in the app store for you to see & update your app. Over 205 cards!!! Lots of new designers! Also – anyone interested in the +2 card swap? Cards would need to be mailed to me by 12/31, and the theme would be birthday & the only rule is no glitter & A2. The extra 2 cards go to Operation Write Home. If you’re interested, comment or email me. I think that’s it for tonight. That’s a pretty long post!!! I’m off to package up the last +2 cards to mail out since I have those, and hope to make a few valentines for Operation Write Home (and hope they get there by 12/1 for the challenge). Goodnight & thanks for reading! My Dad’s Most Awesome Card! 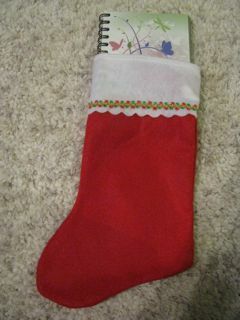 I will post the winners from the blog hop this evening. Welcome to the Christmas Card Blog Hop! 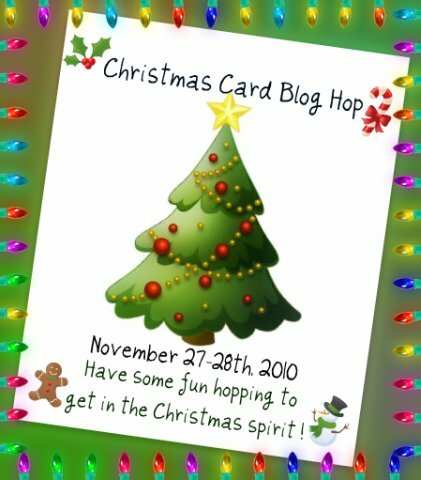 I want to thank you for stopping by my first blog hop, and I want to thank everyone that has a blog that is participating in the Christmas Card Blog Hop! I am can’t wait to see all of their projects!! I’m relatively new to the blog world, and I’ve been having fun with it! 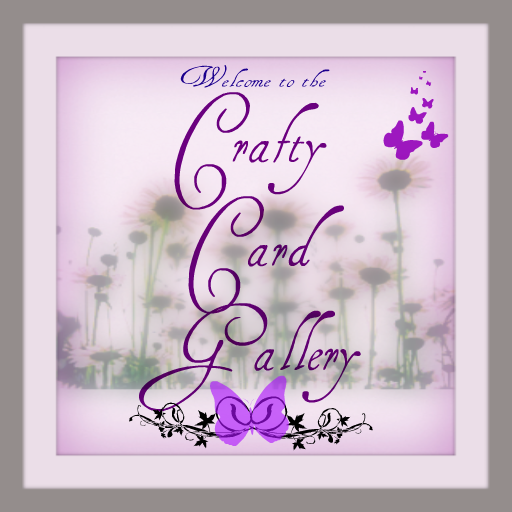 Crafty Card Gallery, the iPhone app that this blog is for, is now in 12 countries! So very exciting! Grab your favorite beverage and settle down for a nice long hop. Hopefully this will get you in the Christmas Spirit! I was inspired by my new flannel sheets that have snowmen on them…. Aren’t those the cutest sheets ever? My hubby found them! On to the card since that’s what you’re here for!!! This card wouldn’t be that difficult to mass produce, now that I’ve figured out all the measurements. My Cricut & My Gypsy – the snowmen are from Gypsy Wandering (I hid the cutout on the inside) and the trees & cardinal & snowflakes are from Winter Wonderland. Here’s a video of it unfolding. 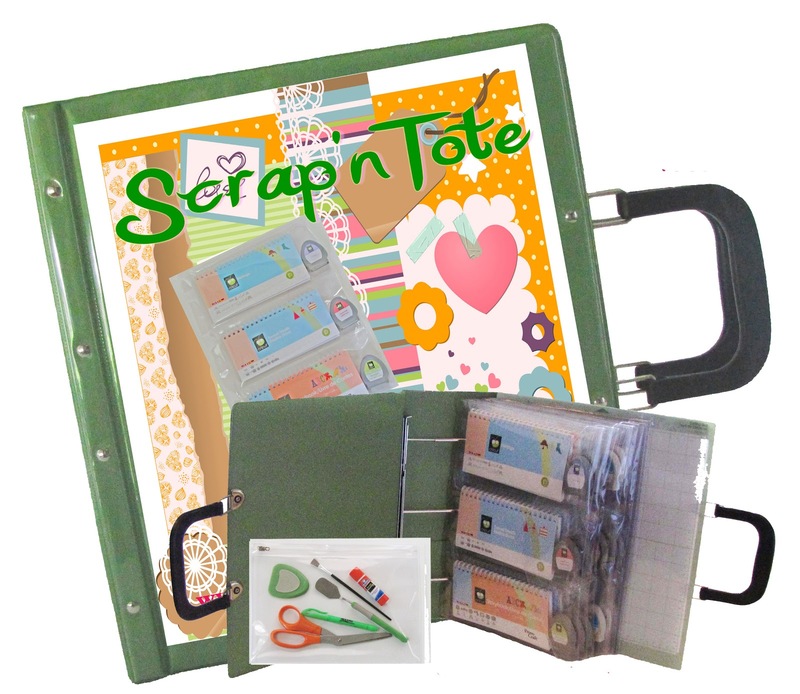 2) My friend Marlo at Scrap’n Tote is having a great giveaway & special pricing this weekend. Check out her website http://www.cricutcartridgestorage.com/contests.htm to enter the contest. Now on to the rest of the Blog Hop! Thanks so much for stopping by! Hope you enjoy the hop! I tabulated the results (next time I figure out an easier way to do this!) and there were a total of 155 entries (blog posts, facebook comments, cards submitted, +2 card swap). I used my random number generator app and the winning number was 129 – which was Kara Ann Dunphy. Congratulations Kara! You get your choice of the Amazon or Oh My Crafts Gift Card. Contact me & I will send you the gift card. Thanks everyone for participating. All I can say is WOW! I have to be 100% honest here. When I decided I wanted to build the crafty card gallery app, I had no idea of whether anyone else would even be interested. I really did it because I thought it would be fun to do and that was all I was aiming for. The app has been out since October 13th (so a little over 1 month), and it’s in 11 countries! I never imagined it would spread that far (ok, I’ll admit I didn’t really think about it being in other countries). I started this blog for the app, and participated in my first blog hop a few weeks ago. I had so much fun, I decided to coordinate a blog hop this weekend. There are already 26 blogs that have signed up! I’ve participated in a card drive (Vera) and sent a bunch of card to Operation Write Home, which has been fun. I’ve been invited to a join a card making group on Facebook and created a Yahoo group to discuss ideas with some of you. I just have to say Thanks to all of you! I have had so much fun this last month working on the app; talking to so many of you (all online! ), thinking up ideas on how we can work together, and seeing the great crafts & cards you’ve created! I have definitely been inspired by all of your great work! I am amazed at how many talented people there are out there. I have learned a lot from seeing what all of you do on your cards. I’m just now working on the 2nd update to the app and there’s a lot to do! But I just wanted to thank you all for the inspiration. I hope the app and this blog provide you 1/10th the inspiration I’ve gotten from all of you! Hope you had a great crafty weekend! I have been too busy to craft (boo!) but have gotten some cool new supplies – just need the time since I have the ideas swirling around in my head. Have a lot of cards to make this week! But of course I’ll share them with you. I will also start on the update for the app on Monday night (lots to do, and unfortunately, I’ve been procrastinating)…. There are some things I would like to do but I don’t think I have the time to get them in this time… But the upside is, there are more cards!!! Also, a reminder that I still have a contest going on! I know a gift card around Christmas time is always useful!!! Especially if you have lots of craft supplies that you want (like me!). Submit card(s) – you will get one entry per card submitted – to submit a card, email craftycardgallery@gmail.com or submit a card from the app by 11/25. Have a friend buy the app, and have them submit your name and their name viaemail with their device ID for proof of purchase. It’s easy to find your iPhone/iPod touch UDID, or device ID. In iTunes, choose the Summary tab on your device, then click on the text Serial Number to show your Identifier (UDID). Then simply ⌘–C (ctrl-C on Windows) to copy your UDID to the clipboard. Paste it in an email to craftycardgallery@gmail.com. You and your friend will both get an entry. If you have any questions on the contest, feel free to email or comment below. All questions will be answered here in the blog. Good luck!!!! Please share with your friends!!! Hope to have a card to post for you soon!! !